Click on the Thumbnail to View the Front Cover in Greater Detail. 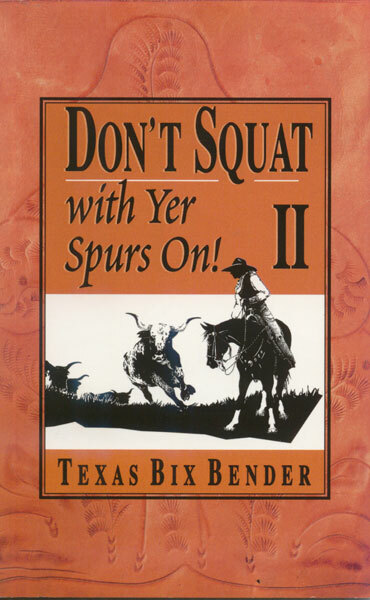 Texas Bix Bender is back with another classic collection of humor and Cowboy proverbs to make you laugh and think. If you liked the first Don't Squat With Yer Spurs On, you will like this one, too.